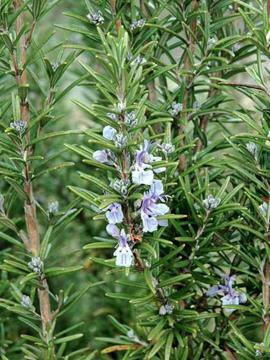 Erect growing form of the common rosemary. Thrives in very well drained, poor soils, preferably neutral to alkaline, in full sun. Dislikes excessive winter wet. Best to cut back regularly to retain a bushy shape and prevent the plant becoming leggy. Can be damaged by severe winters in cold areas. 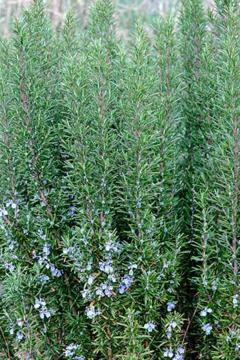 Can be used as a low hedge, perfect for a herb garden.